Since 1845 the Fitchburg educators have been working to improve public education for students. 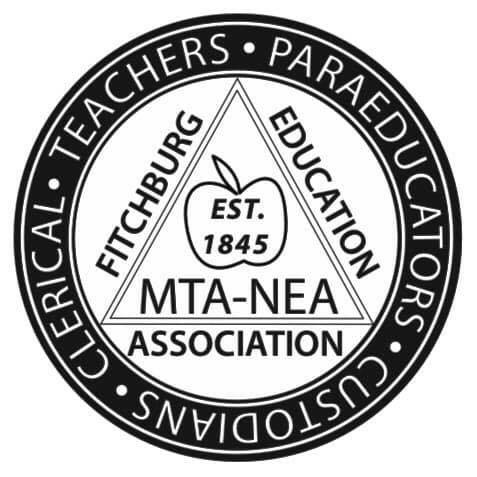 On January 20th, 2007, the Association was renamed the Fitchburg Education Association, serving three bargaining units within Fitchburg Public Schools. The FEA represents over 600 teachers, para-professionals, and custodians in nearly a dozen buildings. To work for the welfare of school children, the advancement of education, and the improvement of instructional opportunities for all. To develop and promote the adoption of such ethical practices, personnel policies, and standards of participation as a mark of a professional. To unify and strengthen the Association and to secure and maintain...working conditions necessary to support [members] throughout the district. To enable Association members to speak with a common voice on matters pertaining to the teaching profession, and those matters pertaining to the education support professionals, and to present their individual and common interests before the School Committee and other legal authorities. To hold property and funds to employ help for the attainment of these purposes. To represent the membership and agency fee payers of the Fitchburg Education Association in negotiations with the Fitchburg School Committee as provided under Chapter 150E of the Massachusetts General Laws. Serving the families of Fitchburg, MA since 1845!